Hello from Kandy, in the central hills of Sri Lanka. We’ve been on the island for 8 weeks, mainly exploring the coast before we headed inland for some mountain-climbing adventures. 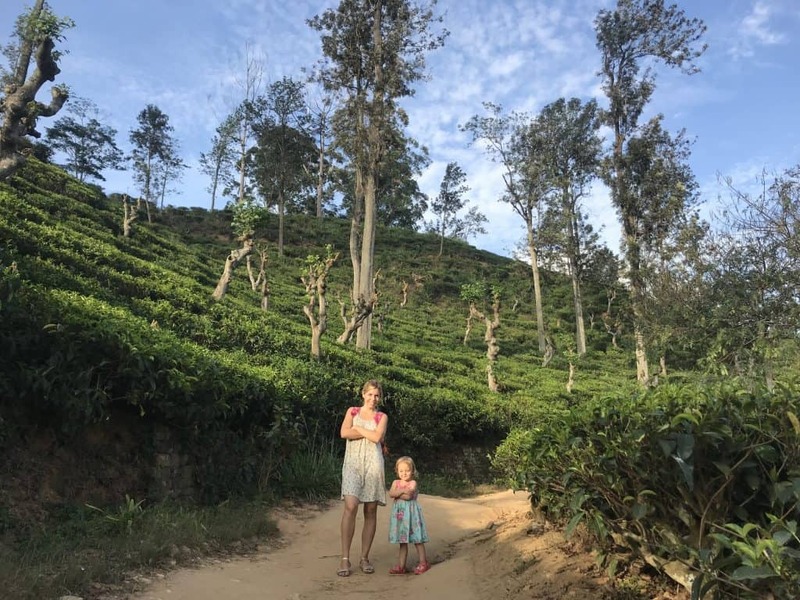 Sri Lanka has been a lot more of a challenge for our full time travelling family than Bali or Thailand, where we visited before. We’ve found the frequent power cuts, dangerous driving and lack of Internet access a challenge, sometimes frustratingly so. Oh, my life. 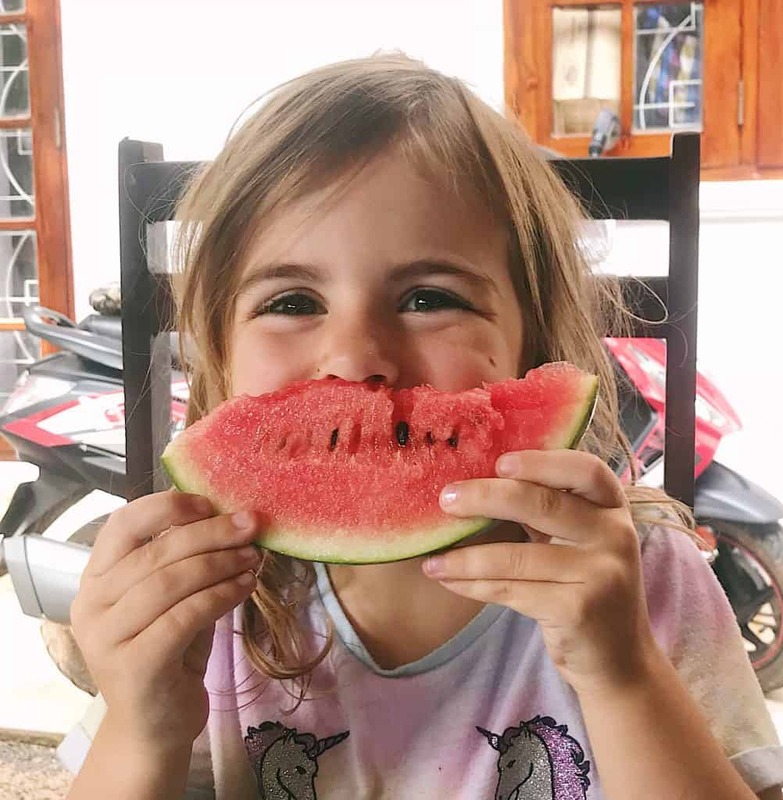 We all thought we’d hit the jackpot in Bali, and Thailand knows how to do mangos, but the ones in Sri Lanka blow the others out of the water. Forget carefully cutting around a large stone; these ones are as big as your head and packed with juicy flesh. They are so sweet they’ll make your eyes water- 10/10, Sri Lanka. No, it’s not a mango- they never hang around long enough for a picture!! We’ve seen some gorgeous sunsets, but the huge scarlet pendant that hangs in the sky here is just breathtaking. 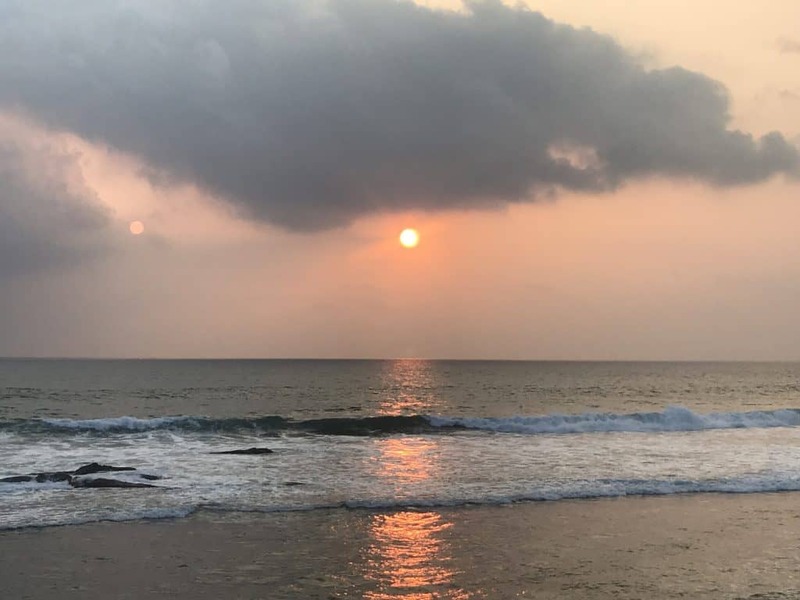 In Mirissa we watched the sun set from the same place each night for 3 weeks and every night it was different and glorious. Burnt amber, glowing golden hues and cotton-candy pink streak the sky as the sun disappears behind the ocean. If you love turtles, Sri Lanka is the place to see them in the wild. 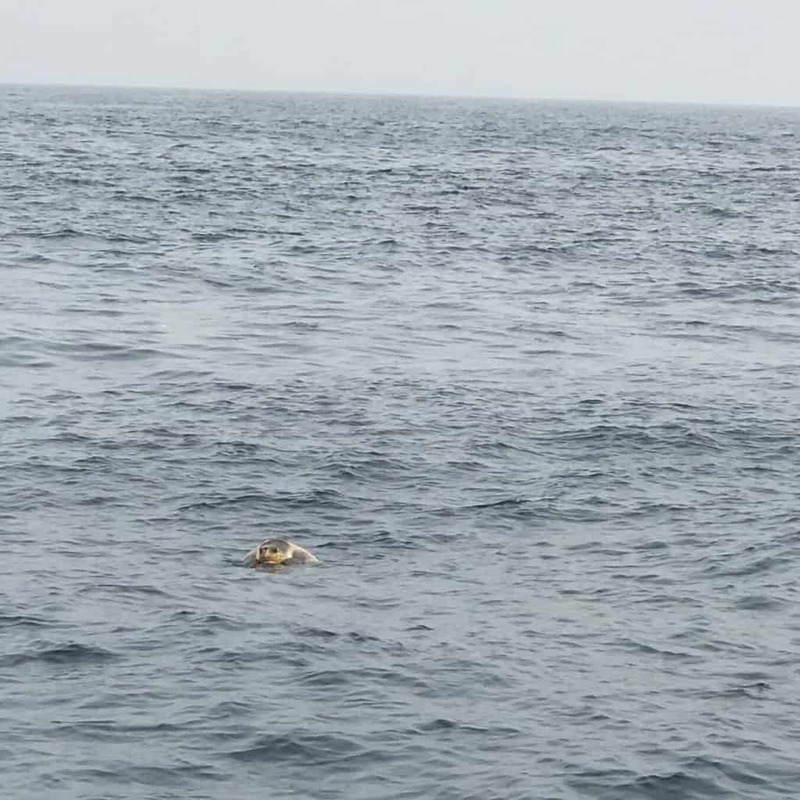 We swam with turtles, we spotted two mating in the middle of the ocean on our blue whale watching trip, the kids were lucky enough to stumble on a baby flapping its way to the sea and we had the once in a lifetime experience of seeing a colossal Green Turtle laying her eggs in the dark of night. If seeing a wild turtle is on your bucket list, Sri Lanka will have that checked off in no time. “Send nudes.” (The mating turtles). Elephants, crocodiles, monkeys, monitor lizards, rainbow-dipped kingfisher, jewelled peacocks, turtles, dolphins, blue whales, humpback whales, leopards… I could go on. African safaris can be super pricey- Sri Lanka offers affordable (often free!) 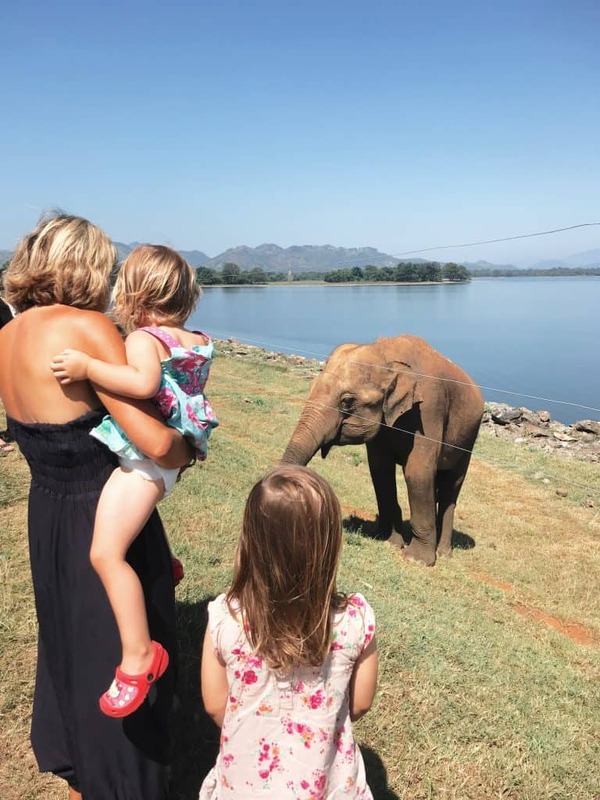 ways to see your favourite animals in the wild (click here for our Sri Lanka safari review and here for our experience of the most dangerous animals in Bali when we visited!). We’ve seen beautiful tea plantations in India and Bali, but Sri Lanka takes the biscuit (actually their biscuits are pretty good too, thanks to all the tea drinking). These fields are vivid green and dotted with the vibrant saris of the tea pickers. The Ella to Kandy train offers endless views of these tea hills, and while we were in Ella (we have the complete guide here) we visited a tea factory to find out how the good stuff is made. For more posts on Sri Lanka, click here. Don’t forget to pop your email in the sign up box to receive our posts straight to your inbox and follow us on Instagram for daily pics of our adventures! 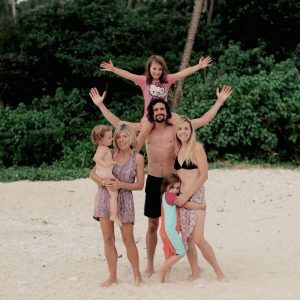 Have Our Feelings About Living in Bali Long Term Changed?